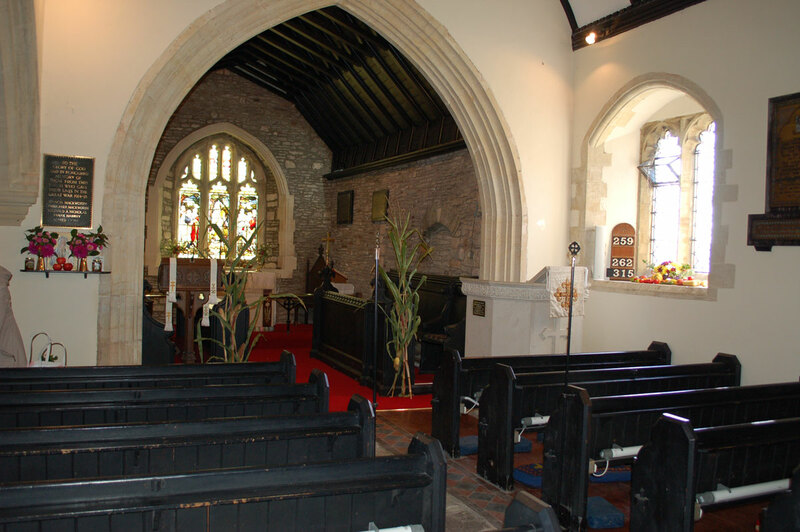 The church was originally built in the 12th century. 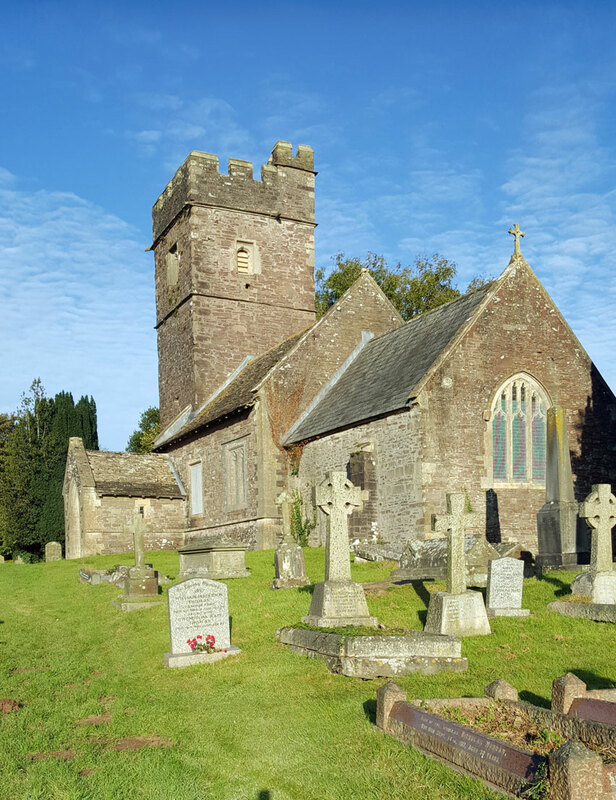 It occupies a beautiful position high up overlooking the Usk valley with extensive views from the churchyard. 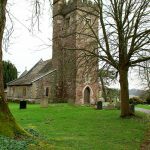 Previously there had been several churches built down in the valley which were flooded out by the river. 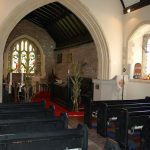 The church was extensively altered by the Victorians, increasing the size on the north side, extending the chancel and adding the vestry and the tower. There is a capacity is about 100 people. There is a large electric pipe organ and two bells. 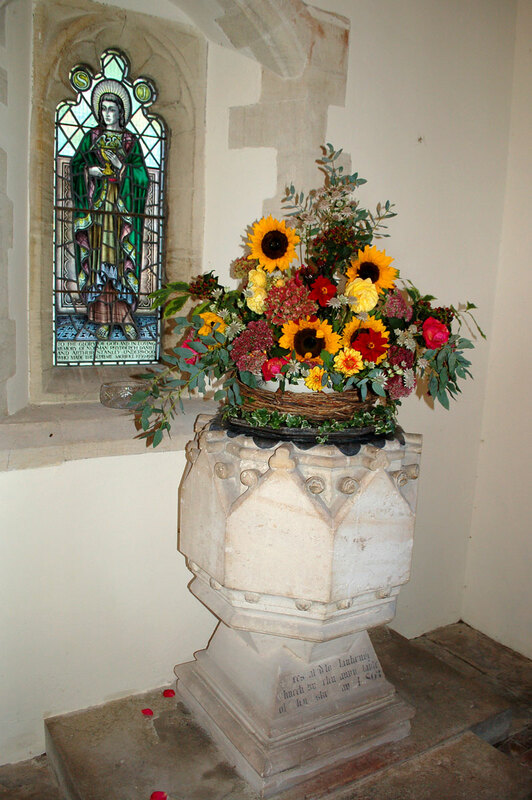 The PCC is responsible for fund raising to cover the parish share, electricity and also maintenance of the church and churchyard. The roof was repaired in 2006 with appreciated help from local benefactors. In the last few years we have replaced the carpets and painted the main interior walls. The electric wiring system has been updated and we have installed a loud speaker system, which can be extended. Our church which possesses natural charm and beauty is now even more attractive and comfortable for our congregation as a result. We have a Sung Eucharist on the 1st and 3rd Sundays of each month. 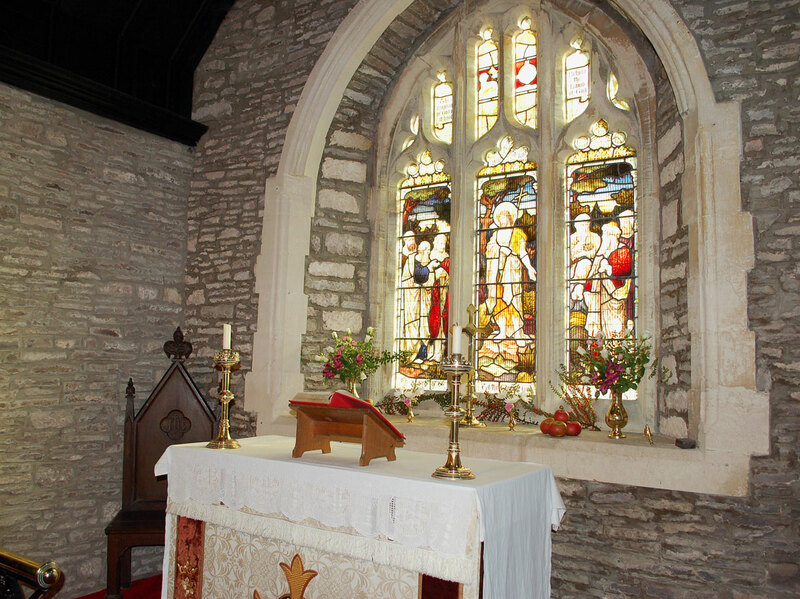 At present, retired priests take our services, lay people assist with the readings and serving Holy Communion. We also have a regular organist. Our congregation enjoys using the green Book of Common Prayer ( 1984 ). There are currently no regular home communions. 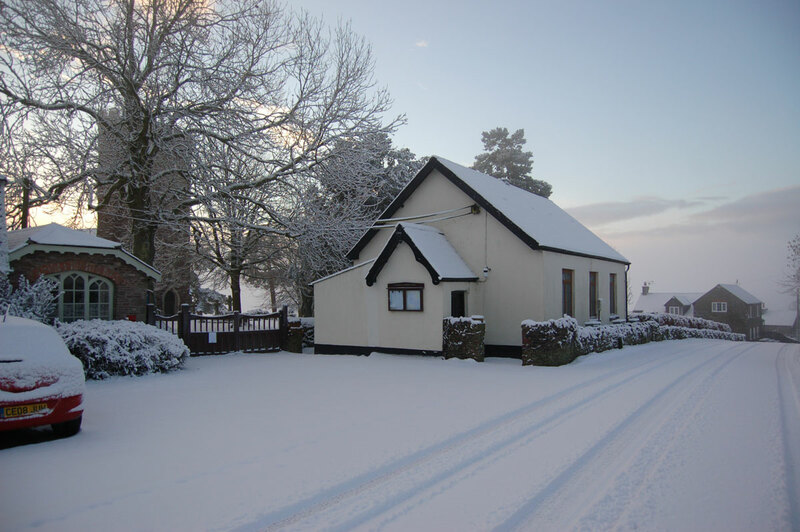 There is no village school but there is a Sir Leonard Cheshire home (with nursing care ) providing a range of services for physically disabled adults which is attended by the incumbent. The PCC is 12 strong currently. Financial matters, maintenance, repairs, fund raising and social events are regularly discussed, organised and evaluated. Fund raising events necessarily happen at least every quarter. 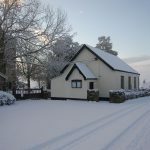 bingo sessions, open gardens, strawberry teas, musical evenings, carol concerts and Gardeners’ Question Time as well as 100 club are both popular and lucrative. We are also very lucky to enjoy the generosity of local benefactors. 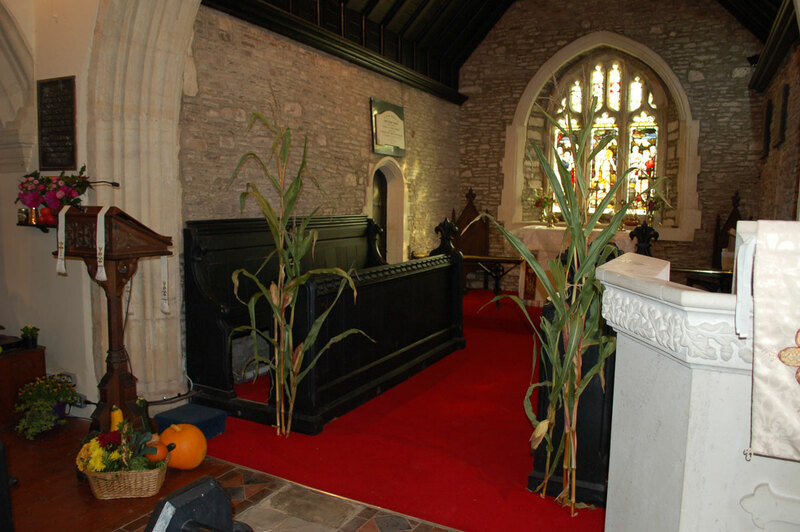 Recently we have been given a beautiful set of new gates which really enhance the area of the church and village hall. 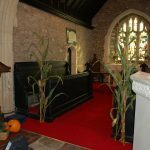 This kind of local generosity shows the value villagers put on their church. 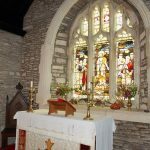 The church does not have it’s own magazine but features in St Cadoc’s monthly Parish News where regular contributions keep everyone aware of services, events and celebrations happening at St John’s and in Llanhennock. 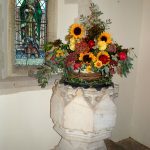 The parish share in 2016 was £9742 which we have covered with service collections, fund raising events and donations. 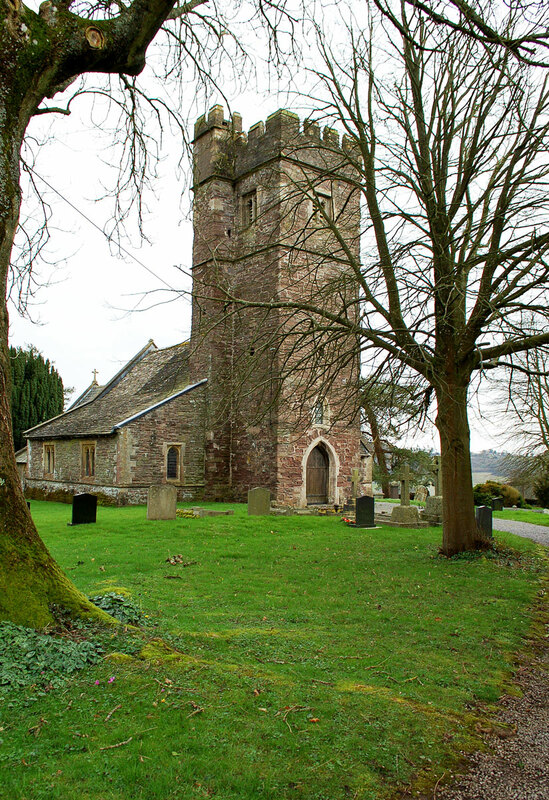 The churchyard is maintained by donations from families of residents of the Grave Yard!